When you create a new blog and open the WordPress dashboard for the first time and decide to start writing your first article, you might get confused. Should you create a new post or a new page? Are there any differences between the two? The short answer is – yes, there are differences. Posts and pages are not the same things, and there is a reason they are separated in the admin menu. So, before publishing your first post and page, let us briefly show you when and how to use them. WordPress posts should be used for dynamic content. When you want to write a new story, news article, review or show the latest photographs you took, for example, you should create a new post. Generally, the type of content you constantly add and that will have tens, maybe even hundreds of articles. Most of the time, WordPress displays posts in the reverse chronological order – fresh content on top. What that means is that the latest post you’ve published will always be on top so that your readers can get their hands on the most recent material as soon as they open the site. The exceptions are sticky posts that will stay on top of the posts list no matter when they were published. Because posts are “perishable” and they can become harder to find after some time, WordPress lets you group them into categories and tags. By doing so, you can organize posts and make them easier to find to an average reader. Also, due to their timely nature, posts are syndicated through RSS feeds (Rich Site Summary; also known as RDF Site Summary and often called Really Simple Syndication). If users subscribe to your RSS feed, they can get new posts from your blog directly to browsers or smartphones without actually having to open your site. Unlike pages, people will probably have something to say about your posts and leave comments. 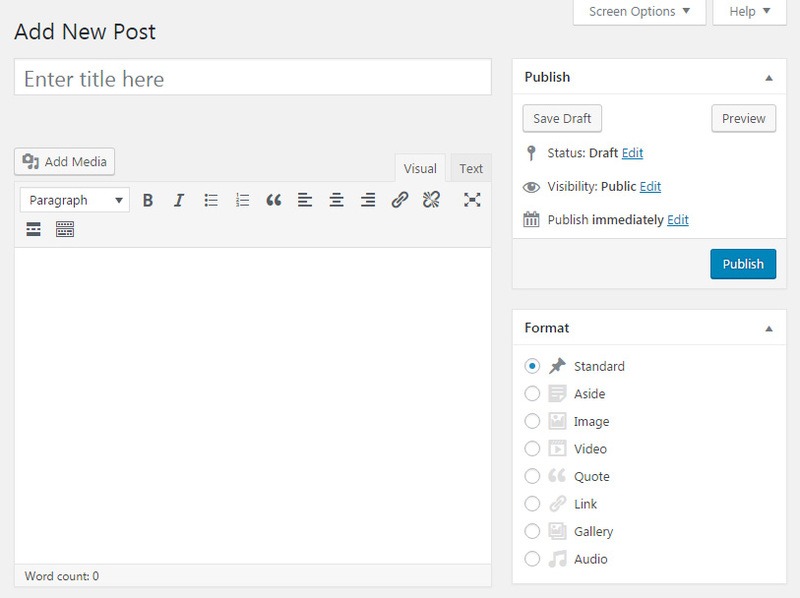 As opposed to posts, WordPress uses pages for static content. A great example would be “About me”, “Contact”, “Advertise”, “Legal” and similar pages. Basically, things you write once and barely ever change. Also, on most sites, you won’t have more than tenish pages. If you have more, maybe you should use posts instead. Although WordPress keeps the time and date of published pages, you can consider them timeless (they are not part of the chronological blog stream). While a news post may get old even a few days after you publish it, your pages wouldn’t suffer from this chronological disease – your “Contact” pages will be the same no matter the time and date. Although pages cannot be categorized and tagged, they are hierarchical. By selecting their parent pages, you can nest pages and thus create logical groups. For example, if you were about to create an “About us” parent page, you can nest several other pages that will contain information about each member of your team. As those pages would obviously fall into the same group, it wouldn’t make sense to have them on the same level. Nesting pages will help you, readers, and search engines as well. Pages can have custom templates. 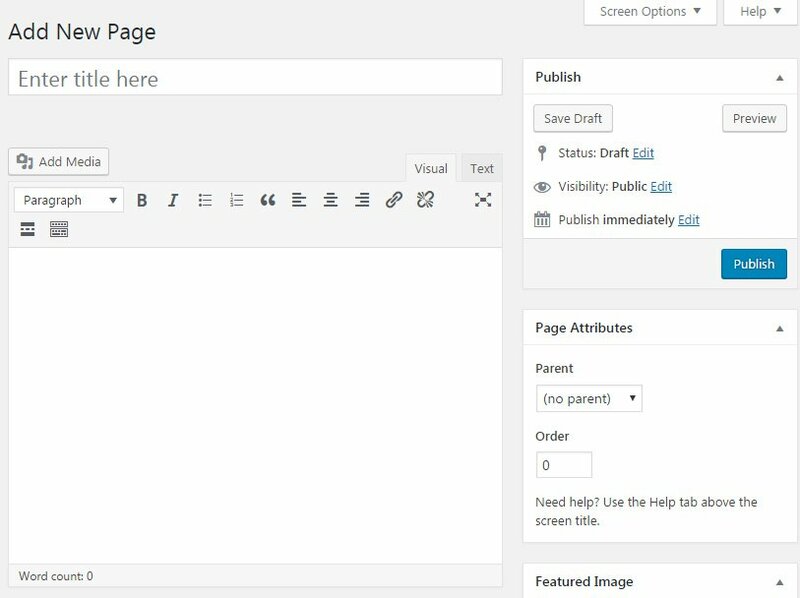 If a WordPress theme comes with one, you can select a template from the Attributes menu and completely change the look of that particular page. So, for example, you can create a homepage out of a regular page, or build a landing page for marketing purposes that will look different than anything else on your site. Most themes come with templates that let you enable or disable the sidebar and choose on which side (left or right) it’s displayed. It is possible to reorder pages by assigning numbers to them. One example where this feature is nice to have are websites that use sections. Usually, each page would represent one part of the site, and you could move them up and down by rearranging pages. Although WordPress posts and pages might sound like “the same thing”, after taking a glance at this article, it’s obvious there are some significant differences. Use posts for dynamic content that you can organize into categories and tag appropriately. On the other hand, use pages for static content which describes your site in general.